I’ve just published the second show in a new podcast called “The Coffee Break”. My co-host is Andrew Conry-Murray from Interop (and previously Editor-In-Chief at Network Computing) and we talking about industry analysis. 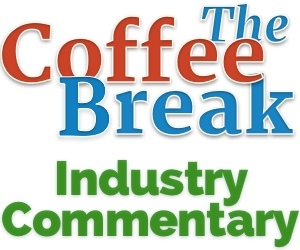 The Coffee Break is an podcast on state of the networking business where we discuss vendors moves and news, analysis on product and positioning, and look at the business of networking. In the time it takes to have coffee break. Packet Pushers remains a deep dive into technology with community guests and industry figures. he Community Feed at Packet Pushers is a place for anyone from the community to start their own podcast – (we are eating our own dog food by publishing this show in the feed until we have proven that it will fly). You are welcome to record your own podcast and publish it here. Would be interested to see how you do ? Or we can get you on the show and see how you make out ? Let me know if you are up for it.